Who is your Beauty inspiration? I would have to say Jennifer Aniston. She is someone I admire for her natural, healthy look. In my eyes, the older she gets the prettier and more elegant she looks. I love the fact that she does not complicate her image with excessive make up – she really is beautiful. Also, I have to make a mention for my Mum. Cliche, but she is someone who always takes care of herself and her skin. As a beauty therapist she has always protected herself and those closest to her from the effects of sun damage, from living in a hot climate like Namibia. She is someone I look up to! How do you cope with daily stresses? I find it very difficult but I often unwind by having a nice relaxing bubble-bath after work. In the summer, a picnic in the park usually does the trick!! What do Namibian girls care about when it comes to Beauty? The main difference would be the climate. As it is always hot we have to protect ourselves from the sun and take sun-protection wherever we go, even if we’re just popping out to the shops. Living by the coast in a hot country puts you at more risk. Sun lotion is everything! What Beauty product could you not live without? It would have to be Nimue Skin Technology. It is a wonderful skin product for improving the health of your skin. It dramatically improves the signs of ageing, dryness, sensitivity and a rough texture. I have been using this product for the last 8 years. My skin always looks and feels healthy thanks to Nimue. It is AMAZING! 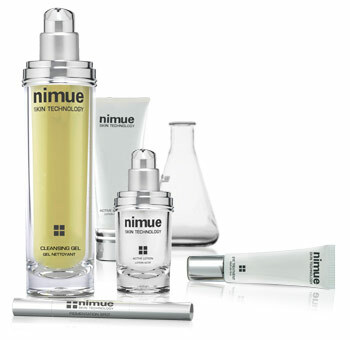 Lene's Beauty Share: Nimue Skin Technology, for making your skin feel flawless! Lene’s Beauty tip: Exfoliating 2 -3 times a week and never going to sleep with make up on! 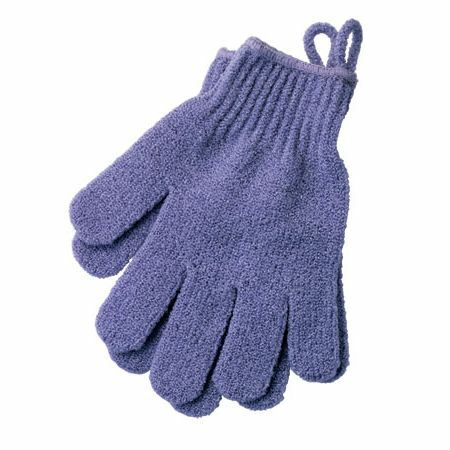 Lene's Beauty tip: Exfoliate, exfoliate, exfoliate! Day at the beach or a hike in the mountains? America’s Next Top Model and Prison Break – both completely different from each other, I know! Lene’s Product List: Exfoliation gloves and Nimue Skin Technology (a range native to South Africa with active ingredients imported from France and Switzerland). Lene uses the face wash at around £20 and the Super Hydrating Serum at around £52. You can find the products online. Sharing is caring: Who are you? Where are you from? And what is your Beauty tip or product to share? Tell me in the contact form below and I’ll share it for the world to know! Beauty is for everyone. We are all involved with beauty every day in some way or another. But we do not all do the same things, because we are unique. And when we interact with each other we learn something new. My mission is to learn something new from you. It is exciting really. We want to know what someone else does to look and feel beautiful. It gives us ideas and inspiration for our own lives. Maybe, without realising it, you could provide that inspiration. So let's share our secrets and feel more beautiful together! Sharing is caring: Who are you? Where are you from? And what is your Beauty tip or product to share? Tell me in the contact form below and I'll share it for the world to know! This entry was posted in Beauty, Health and tagged Africa, Beauty Share, Exfoliator, health, Jennifer Aniston, Namibia, Nimue Skin Technology, Secret, Sun. Bookmark the permalink. I was suggested this website via my cousin. I’m now not sure whether this publish is written via him as nobody else realize such targeted about my trouble. You’re incredible! Thanks! Life, Friendship, Beauty and a Marathon! Beauty Secrets all the Way From The USA!